This April 2010 we take a trip up north to Ayutthaya, centre of the old empire in the Chao Phraya basin that existed 700 years ago. The city was dying slowly, strangled by a Burmese siege imposed a year earlier. The Burmese onslaught which started in 1765 had subdued the cities of Chiang Mai, Phitsanulok, Sukhothai and Tak to the north, Suphanburi, Ratchaburi to the west, Chumphon and Phetchaburi to the south. 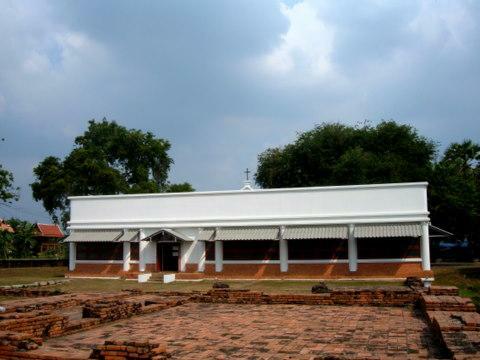 Ayutthaya was completely isolated by 1766. Constant bombardment and harassment from the Burmese, famine and disease devastated the city by late 1766. In early 1767, the population’s miseries were intensified by a huge fire that burned down large parts of the city. At dawn on 7 April 1767, the Burmese launched their final assault. Their troops swarmed over the crumbling walls breached by constant pounding by Burmese cannon. The weakened Siamese defenders were overwhelmed and put to the sword as the city was torched, raped and plundered. Places of worship and religious relics were destroyed, defaced or looted. Those who managed to flee the slaughter escaped to the countryside to forage for food, many starved to death. 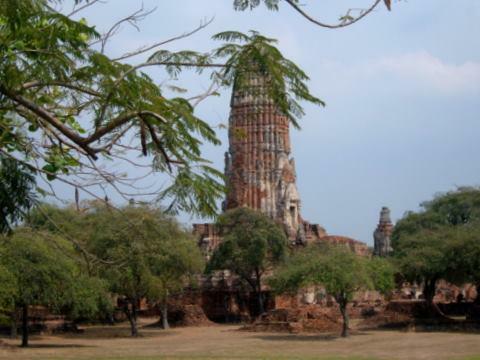 Ayutthaya was sacked for the second time in 200 years. This time its destruction was complete. It never regained its former glory again. 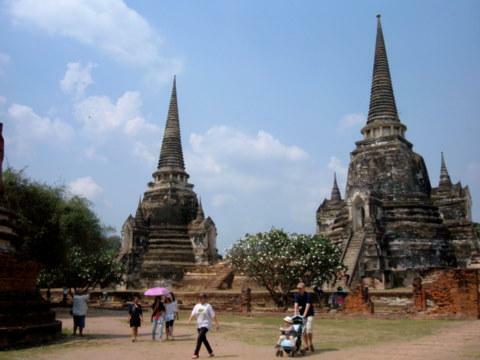 The capital city of Ayutthaya was established on Friday, 4 March 1351 by King U Thong who became the first king. It was the Year of the Tiger, on the 6th day of the waxing month in the 5th lunar month. The city kingdom extended its power over the surrounding cities. At the crossroads of trade between India and China, the city grew in strength and prosperity. 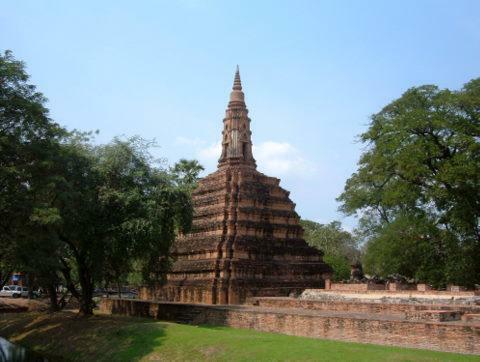 Within a hundred years, Ayutthaya’s influence through trade reached the Malacca Sultanate and the Bay of Bengal. The arrival of the Portuguese in 1511, after the fall of Malacca, further strengthened trade ties and secured the supply of guns, ammunition and mercenaries from Portugal. But the kingdoms and principalities in the region were plagued by civil wars over succession and rivalry between rulers. Burma, growing in strength, was watching and waiting to pounce. But from 1558, they went on the offensive and captured the northern cities one by one. 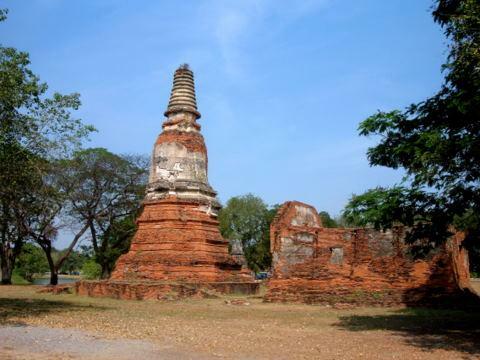 Ayutthaya fell in 1569 and became a Burmese vassal. It took more than a decade before a young prince emerged with the leadership and courage to defy Burma. 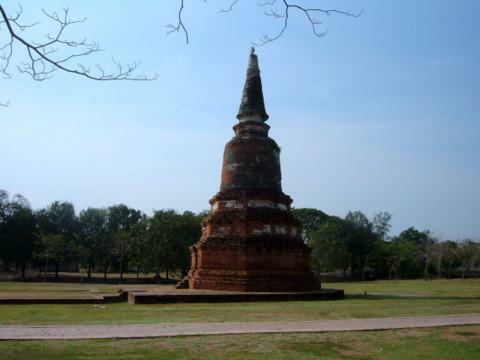 Punitive expeditions to Ayutthaya were repulsed. 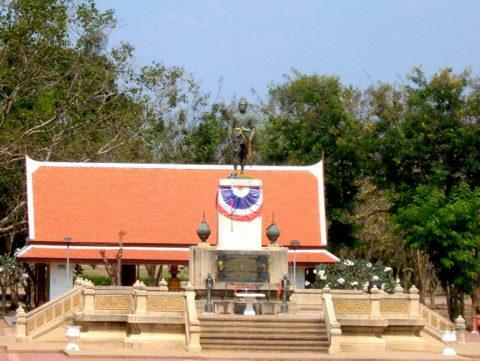 When Prince Naresuan became king of Ayutthaya in 1590, he defeated the Burmese in a series of battles. Thereafter Burma’s power declined. 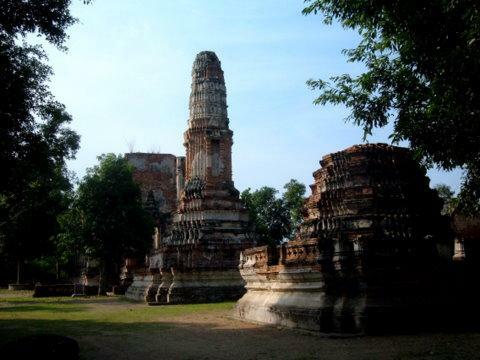 Ayutthaya regained its prosperity and peaked in 1733. But the succession squabbles and rivalry among the rulers persisted. Burma re-emerged as a power in 1753 and made an abortive attempt to capture Ayutthaya in 1760. Five years later they mounted a massive invasion that overwhelmed the cities around Ayutthaya, laid siege and captured Ayutthaya again in 1767. 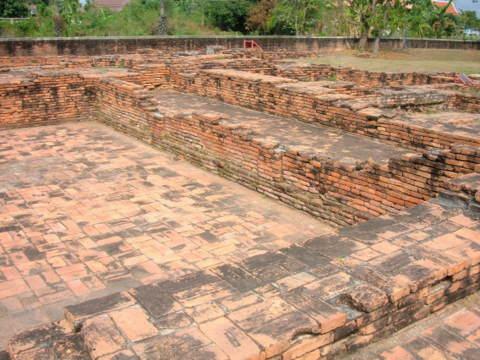 This time they destroyed the city completely and put an end to the line of 35 kings of Ayutthaya. 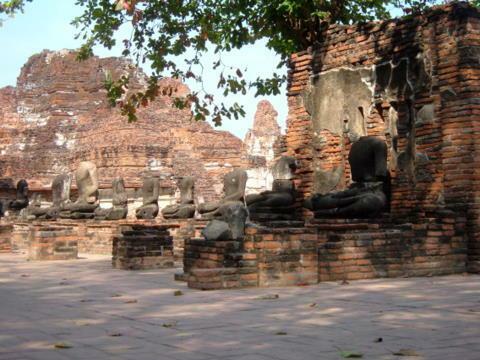 In 1991, the historic City of Ayutthaya was designated a UNESCO World Heritage Site. The old city is located at the confluence of the Chao Phraya and Pa Sak Rivers. Here’s a brief on our tour of some of the attractions within the old city. As we entered the old city, we took a wrong turn and encountered our first historic site, Wat Boroma Phuttha Ram in Si Sanphet Road. This was one of the many small isolated ruins scattered all over the old city. After we got our bearings, we proceeded to another small ruin, Wat Langkha Khao in Naresuan Road. Wat Mahathat however was a big complex. Unlike the smaller ruins, it’s walled in and you have to pay an admission fee to visit it. On the way back from Wat Mahathat, we passed the ruins of this temple. After lunch we continued with our exploration of the old city. The ruins within the historical city are mostly ruins of temples. Nothing else remains of the old city. Later we crossed over to the southern bank of the Chao Phraya outside the old city walls to visit the Portuguese settlement. 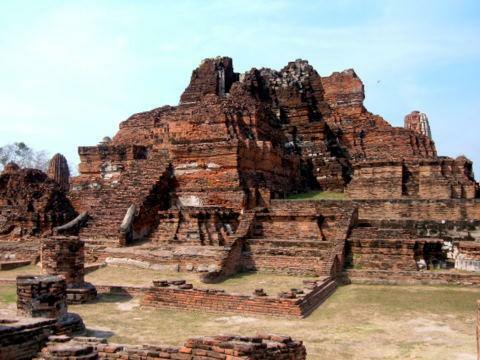 The Portuguese were the first Europeans to arrive in Thailand in 1511 shortly after they captured Malacca. All that’s left of the Portuguese settlement today are the ruins of a church, the Dominican Church of San Pedro on the banks of the Chao Phraya. Beyond the church ruins closer to the river, there’s a modern building which appeared to be a chapel. We entered chapel and encountered the biggest surprise in our trip, 200 skeletons on display in a huge pit in the building! 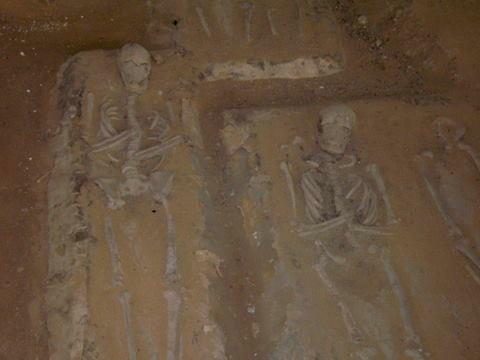 These skeletons were the remains excavated from the old cemetery in front of the church. 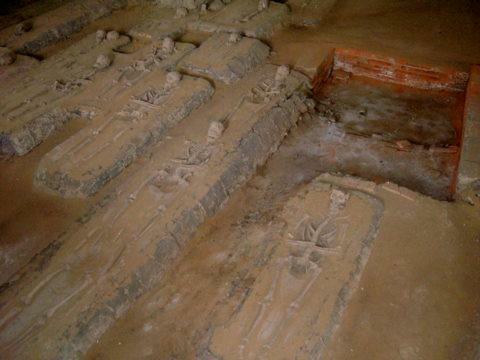 The skeletons were not only those of Caucasians but Thai as well, those who converted to the faith. Excavation of this archaeological site was done from 1984 – 1995 jointly by the Department of Fine Arts, Thailand and the Calouste Gulbenkian Foundation, a charitable foundation established in Portugal in 1956 with cultural, educational, social and scientific interests. The site was opened on 2 April 1995. 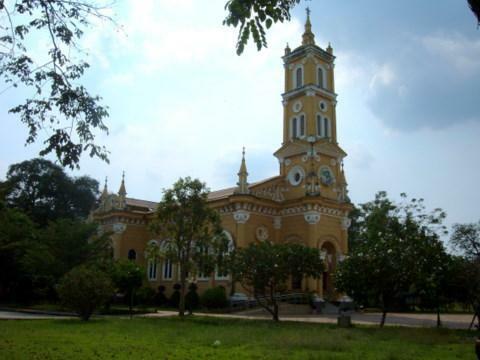 Next we stopped over at St Joseph Cathedral which was built in 1666 in the reign of King Narai by Vietnamese and French Catholics. The church was destroyed in 23 March 1767 and restored in 1847. It’s one of the oldest Catholic churches in Thailand. Our last stop was Wat Chai Watthanaram. 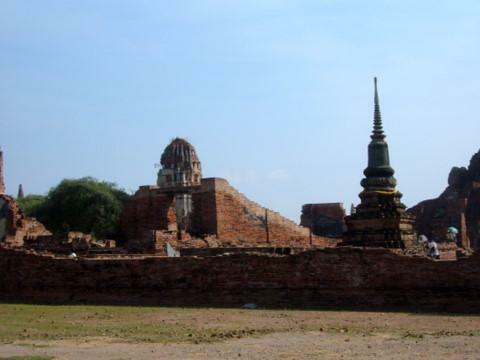 Like the ruins of Wat Mahathat, visitors have to pay an entrance fee here. This site provided the best view of old ruins for the entire visit. See for yourself. This isn’t a complete list of all the historical sites in Ayutthaya. I don’t think all of them can be covered in a day. Still, it was with great satisfaction as we drove back to Bangkok in the late afternoon. As the city lay in its death throes, a column of horsemen, who had slipped out of the siege ring before it snapped shut, were riding hard towards the southeast, to Chanthaburi on the Gulf of Thailand. At the head of the column was the son of a Chinese buffalo trader, the man destined to raise Ayutthaya from the ashes of destruction and restore the glory of the Siamese kingdom. This was the man who drove the Burmese out after the fall of Ayutthaya and united the fractious city kingdoms to lay the groundwork for the birth of a new capital, Bangkok and the dawn of a new era. For the momentous events in the next 15 years after the fall of Ayutthaya, please see King Taksin Monument and Rattanakosin – dawn of a new era.